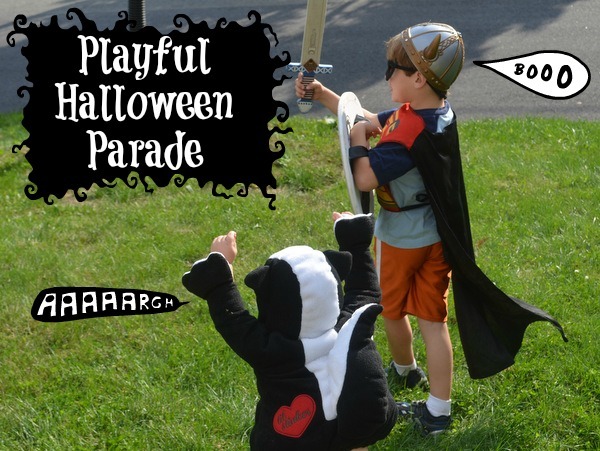 We love parades any time of year, but there is something about adding costumes that makes a Halloween parade special. 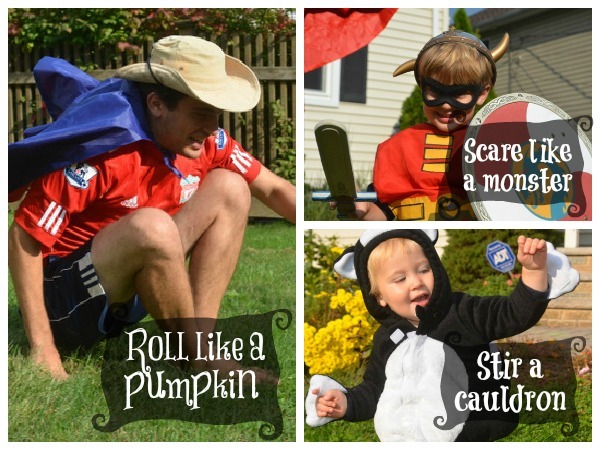 This weekend we put on costumes and had a playful Halloween parade that worked in additional gross motor skills (my husband, as you will see, was a caped-cowboy-soccer player, designed by our older son!). To start off the parade, we read Brooms Are For Flying by Michael Rex. In this picture book, a Halloween costume parade is lead by a small witch. They reach like mummies, flap like bats, moan like ghosts, and peak like clowns. At the end of the book, everyone is unmasked…and we realize the little witch is actually…a little witch, who flies away on her broom. My boys love this book – they love moving along with the characters in the book, the surprise ending, and matching up the unmasked characters at the end with their costumes earlier in the book. What other spooky Halloween movements would you add?